Medtronic plc announced it has enrolled the first patient in a clinical study that will evaluate the use of its SynchroMed drug delivery system as an alternative for oral opioids. The study is aimed at patients with chronic intractable non-malignant primary back pain with or without leg pain. The company believes its pain pump—SynchromMed II– can provide effective pain relief at a fraction of the oral dose with fewer side effects. The study—which the company has dubbed The Embrace TDD study—will follow patients who wean completely from all oral opioids and use their therapy to address their pain. The Medtronic pain pump and catheter are implanted under the skin and deliver medication into the intrathecal space, enabling clinicians to prescribe reduced doses compared to systemically delivered medications and tailor drug delivery to patient needs. The Embrace TDD study is a prospective, multi-center, post-market study that will enroll approximately 100 patients. Patients taking a daily systemic opioid dose of ≤ 120 Morphine Milligram Equivalents (MME), who are candidates for TDD, are eligible. Patients will be followed for 12 months. More details can be found at ClinicalTrials.gov. These are IV Doses, my CARDIO has blacklisted Morphine, Fenatayl as to dangerous for my heart. Nor can I go through a surgery that leaves me UNABLE to have a MRI, especially with INADEQUATE PAIN RELIEF. Plus you have to have surgery again to replace that battery. Set off all the alarms for the Airport or Metal Detectors. It’s also heavy and bulky in the abdomen. Adhesion’s can form which are MORE PAIN and makes it hard to REMOVE. I’m a former Physician Assistant who worked with patients with implanted pumps. The vast majority had great success with them, but these were people who didn’t do well on oral opioids. It was considered one of the last resorts to get a pump. Our population of patients didn’t have issues with infections or leaking or intrathecal catheter ending up where it shouldn’t. A lot of the problems discussed by others have more to do with the surgeon who implanted the pump than how the pump worked once it was successfully implanted. So know your surgeon! Make sure they have an outstanding success record with their implants. Once it’s in there properly, it can help many issues. Probably 1/4 of our patients had the pump to relieve spasticity due to having MS. There are a plethora of meds that can go in a pump – i know they are sometimes referred to as “morphine pumps” but that’s an old reference. Just thought I’d throw in my 2 cents on my personal experience in working with the intrathecal pumps. Our patients were very satisfied with their experience. This article is highly misleading. 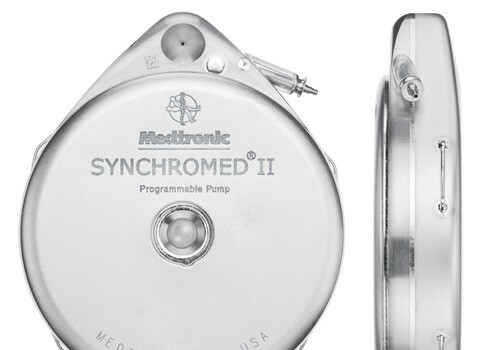 This Synchromed II intrathecal pump from Medtronic is NOT new. I had my first pump implanted in 2000. This study regarding weaning off all oral meds before implant is UNETHICAL and UNNECESSARY. I never reduced my meds before surgery. My doctor slowly took my oral dose down, as he raised the pump dose. I had 5 pumps total. My last pump had to be removed by emergency surgery after being left in me, infected, for over a month. I developed Bacterial Meningitis. I was in ICU for 4 weeks, fighting for my life. Then. In step down another 6 weeks. What they don’t tell you: You are tied to whichever doctor implants your pump. If you want to EVER move to another state, forget it. You WILL NOT find ANY other doctor who will manage your pump if they did not implant it (liability issue). There are VERY FEW doctors who know ANYTHING about how they work This becomes a major problem if you are ever injured and end up in the ER. ER docs incorrectly assume whatever med you are getting through the pump into your spinal fluid, somehow covers ANY OTHER pain you might have. There have been reports of pts. with pumps being denied any anesthesia when setting broken bones!!! You will NEVER get ANY pain meds for ANY OTHER INJURY PERIOD!! Other docs also don’t believe that YOU can NOT control the pump YOURSELF. They do not understand that these pumps require a handheld computer to program that is ONLY sold to Doctors. You also need to be aware that if there is a recall on your pump, the FDA only requires Medtronic to notify your DOCTOR, not you. The very same doc who receives royalties for every pump he implants. The same doc who will do EVERYTHING in his power to convine you any problems you are having with the pump are “all in your head” (due to his financial interest in continuing a good relationship with Medtronic). This Synchromed II was recalled thirty-three (33) times between 2000 – 2015. National pain report 6/28/13 titled Medtronic pain pump blame for 14 deaths. Causes being inadvertently injected with drugs overdose / underdose 2 were caused by drug blockage, one by electrical short in device please read article for full scope. National pain news 11/20/18 titled FDA warns about unapproved drugs in pain pump. Drugs are same as listed above. However article titled Medtronic tweaks it’s new pain pump system. 1/11/18 . Here are just some articles found to be interesting. I have an Intrathecal Pain Pump and have had one since 2014. I have a mixture of Fentanyl/Dilaudid/Bupivicaine in mine. It has changed my life for the better. Yes, it took time to titrate but I would go through the process 100 times over, to achieve the success I have with it now. No, I am not pain free, but I went from a constant 7 on heavy oral/transdermal Narcotics to days when I have very minimal pain. Unfortunately I am still on some oral medication because I have poly arthritis which affects joints other than my back. 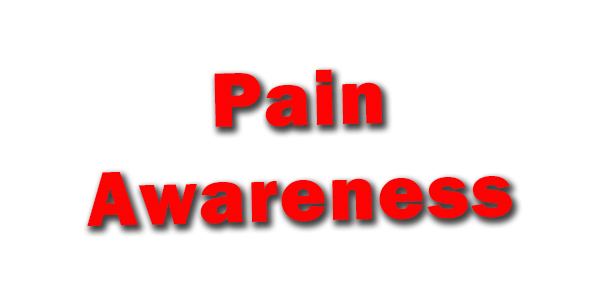 No, this is not a new therapy but it is an option that many pain patients have success with. I hate that there are others that have had negative experiences, and respect their opinions in on a modality that did not work for them. Just as certain medications and surgeries do not “fix” or work for many of us, no one option is a perfect fit for everyone. I however thank God that this was an option that has worked and continues to work for me, as I would never survive on the oral dosages that so many of us have been forced to taper down to. If anyone is considering this as an option, I would be happy to provide details relevant to my experience, if someone would like more information. God Bless and warm wishes for better pain relief for all those that are suffering. I know i’m going to need MRI’s in my future. Most back patients also will need to be followed using MRI’s. Having an implanted device like that means you lose access to a diagnostic test to monitor disease progression. 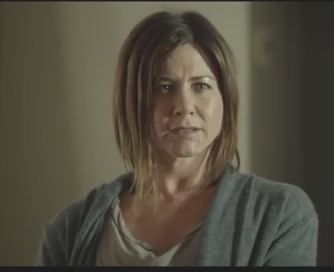 Samantha, you do not need to reduce to nothing before the pump is implanted. Does it make sense to have someone on 120 MME and have a constant infusion of morphine (btw, there are a bunch of other drugs besides morphine to fill the pump with & also a combination of drugs)? A constant infusion with 120 MME would make someone overdose. I had to wean down to 30 MME prior to surgery. Was it hell? YES! I was in a crapload of pain and barely able to function for months prior. I own a cleaning business & did not have the option of not working. My Primary care doctor prescribed my opioids (pain management does not give prescriptions for opioids here) & he started the weaning prior to me finding the pump myself. It was a choice of crappy quality of life vs. a chance at some sort of pain relief and a chance at being a real mother, wife, worker, & member of society again. The morphine that fills the pump is 300% stronger than oral morphine. A very small amount is needed to have less pain. I get a daily continuous infusion of 2.7 mg morphine daily. This includes extra dosing at various times when I’m working & need it. The extra dosing is called flex dosing & there is no need for a bolus. Yes, you need anesthesia for surgery. It is a major surgery. Anything involving the spine is major. I also stayed in the hospital to be monitored. I was weaned off my oral dose & at the same time my surgeon increased my pump dosage little by little. Again, so I wouldn’t overdose. It has taken almost a full year to be at a dosage I feel is good for me. My doctor takes my opinion into consideration every time I go to his office for a refill or adjustment. Everytime I ask for an increase, I get it. Although he decides how much the increase will be. He always discusses having Naloxone on hand (just in case) and asks if my husband has read the warning signs and knows how to administer the Naloxone if needed. wow, I’m surprised at a lot of these comments. I am in the study they discuss in the article. Although 14 lives can’t be taken lightly, it is a small number for how many years the device has been available. I was implanted 1 year ago. I am on no oral pain meds. I think we have no idea of what drugs those people were on when they died “due to the pump”. We also do not know their lifestyle. Did they follow doctors orders when it was implanted? I took off about 16 wks. after surgery for every thing to heal properly. If it does not heal properly in place (without bending at the waist, no twisting, no hands above your head, no stretching, no driving, log rolling in/out of bed, no lifting over 5 lbs.) there could be issues in the future. I was just reading that someone went back to work after a week! This could dramatically increase the risk of the device. There are also conditions you need to follow after recovery. So I don’t know if I would be so quick to judge the implant and it’s possibilities. With the way oral opioids are being treated, what are the other options. Lay in bed with no quality of life? I’ve had a few minor issues & pain flares due to conditions other than my spine. However, most days my pain is at a 3 on the pain scale. Prior it was 7-9. I previously wrote to you about my experience with chronic back pain and treatment with a Medtronic pain pump. To recap a few important points I will say that I was treated for five years with nothing stronger than Hydrocodone and underwent numerous injections primarily aimed at finding the pain generators and then attacking those nerves with radio frequency nerve ablation which proved unsuccessful. Ultimately at the age of fifty years old I had a pain pump inserted. After a seemingly long upward titration period I finally received some relief but it was relatively short lived and though I received relief from my original source of neck and shoulder pain I ultimately developed more disabling low back, scrotum and feet pain. Some thirteen years later my then second pump (they have to be replaced about every seven years) went on the blink and at my new doctor’s advice I chose to have it powered off and went through an unbelievably agonizing detox period that lasted thirty days. Though the detox was indescribable the good news is that I was virtually pain free. I would ultimately redevelop some of the original neck and shoulder pain but it has been well controlled with trigger point injections and oral medications and I have a MUCH improved life now! I think the important take away from my experience and what I would do differently would be to exhaust all oral and other treatment regimens before moving to a pain pump because once inserted it is very unlikely you will ever live without it. I think I was way too young and had not exhausted other regiments before undergoing such a radical life changing procedure. I was one of the very few lucky ones and believe if the pain pump had not failed I would likely still be suffering from what was diagnosed as hypergelsia due to the enormous amounts of opioids being delivered directly to my spine. I know this can be a dirty word for people needing opioids but the word of caution is offered only to help. I was diagnosed with adhesive arachnoiditis back in 2000 and a Medtronic pain pump was mentioned to me then (I actually still have the brochure), so this is nothing new. At that time, I was considering the pump because of my pain, but one of my pain doctors said, “at least you can walk now”, implying that having the pump installed could have very negative consequences if something went wrong during the implantation. And another dr told me that implanting the pump would only be used as a last resort, because I was too young at the time (40), and once I’d used the morphine pump and it quit working, there was nothing else. I also had a pain dr who told me (and 2 others that I know of) if I didn’t get the spinal cord stimulator (Medtronic) implanted, he would not see me as a patient or prescribe any pills. I told him no on the stimulator after getting several other opinions. I agree with the person who said, my opioids work now so why change everything?! It reminds me of the marijuana thing…it wasn’t too many years ago NOBODY wanted people using marijuana. Now, cannabis is being touted as the greatest pain reliever in the world and soon I’m sure the government and physicians will be pushing it on all of us, just to get us off opioids. Many people have already HAD to go to medical marijuana because they have been unable to find a dr who will fill an opioid prescription for them. All due to these idiotic government restrictions that are hurting us innocent pain sufferers. If it isn’t broke, don’t fix it. I should have looked this information up on these implantable pain devices before I made such a happy remark. My cup is empty once again. Says it can migrate, break through the skin, infection, and has killed 14 people. I’m not on any opiates due to the fact that I was dropped over having my controlled substance database information and was willing to give it to a pain doctor. And he did not like that I had it and wrote that I was obnoxious. Yet I have never saw the Doctor Who wrote this only saw his N.P who wrote that I was a very nice person in their own medical reports. I think he overheard me talking to patients about they should check their controlled substance database because there can be mistakes. Guess I was a threat. How can we trust any of these Physicians anymore to do what’s in our best interest instead of their wallet. There’s an article titled pain clinics needles and greed: pain MD accused of injecting patients to meet profit quotas by Brett kilman. I was also told that I would have to have injections to receive medication but I think I was also dropped because I told the NP that I had gastritis and my family physician said not to have any steroids till my stomach heals. So after second visit received a letter in the mail let me know I was dropped. I heard this from other people as well that is a requirement to get multiple injections regardless of your health condition. 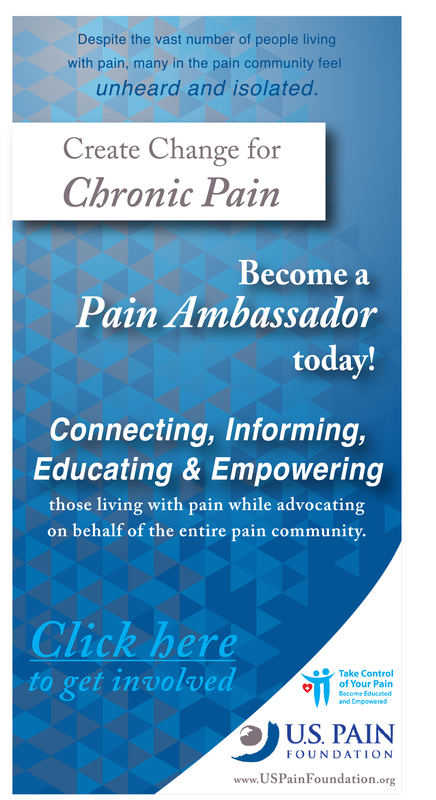 Being in chronic pain you become a Target to be taken advantage of. 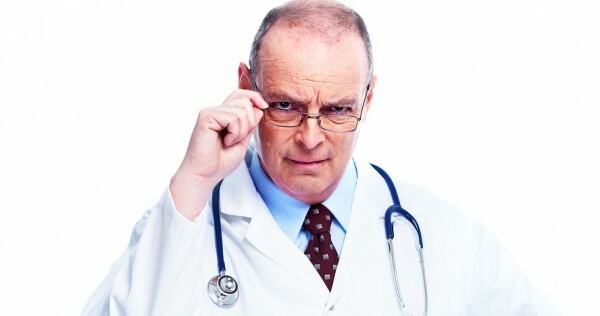 I don’t mind Physicians making money but don’t kill/ injured me in the process of it. Now I’m not allowed in any pain management . all because of this narcissistic, cruel physician. He sure did know how to kick me while I’m down and did an excellent job at it. I will never be able to receive treatment other than getting injections from a rheumatologist. I don’t think pain clinics will last I think they’ll be a thing of the past. I would never get one even if they paid me to get one. I’ve dealt with chronic back pain almost my whole life and it continues to get worse. I STILL WOULD NEVER EVER EVER GET ONE! Do they mention this product is not made here. Its made in Puerto Rico, where the quality does not meet standards and mistakes are overlooked and hidden to meet quantity demands. I know this because I worked for them 20 years. This new fangled  pisses me off! Just another Capitalist profiting on the pain of others. What makes these new forms any better than Opioids? Some are invasive, some just might work, some of these new devices don’t work at all. Wow, and some of them are deadly and addictive! Tell me what’s the difference? I had a Opioid prescription that worked! Now, I get looked at as a drug seeker, or looked at suspiciously by doctors. I hate what I have had to resort to. To the point suicide is an option again! It’s all futility! Terrible. Medtronic enjoys a near monopoly on the implantable device industry. The FDA warned Medtronic about their device which was causing serious harm to patients and Medtronic drug their feet for 3 years in recalling the units all the while continuing to implant them into unsuspecting patients. Anesthesia must be administered to insert these appliances which carries a possible side effect of death. 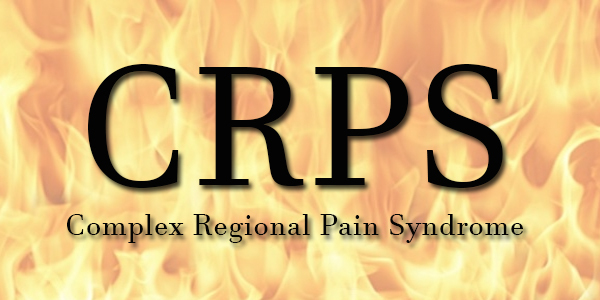 Additionally patients experience rejection, spontaneous combustion internally, infections, adhesions and much more. This is NOT a new modality but one that is at least 10 years old and drought with a long line of failures from a company willing to ignore FDA concerns. There are no more opiate based meds available for these pumps than are for patients in hospitals, oncology, hospice, or anyone else. Production of opiate based meds is scheduled to decrease by another 30% in 2019. Patients end up without meds, in withdrawal when their Drs get arrested, close their clinic, run out of meds and other reasons. Emergency departments will not help these pump patients because they do not treat chronic pain patients in withdrawal or who are short meds, pump or not. DO NOT think that a pain pump will make opiate based meds will magically become more available; it will, however, make you even more beholden to your pain clinic and less able to control your own pain management. Currently, most chronic pain patients cannot trust their PM Drs because they are too busy girding their own loins to practice patient centered medicine. If our government and Drs are willing to let cancer patients scream themselves to death with undertreated/untreated pain believe they are willing to let you dangle by your pain pump. My PM attempted to pressure me into a stimulator (Medtronic) then a pump (again, Medtronic) I refused on both accounts. If these bring some relief without significant personal cost I applaud the fact it is accessible. Be aware. I’ve been a chronic pain patient since I had a back injury in 1994. I had two back surgeries, 3 attempts to place a spinal cord stimulator (Medtronic) and a morphine pump also Medtronic. All failed, whether it was operator error (Dr) or faulty products; no one has ever said. But since we’re talking about the morphine pump, I’ll address that. The Medtronic pain pump was faulty in that the morphine did exit the pump as seen on a 5 day nuclear medicine study but it pooled right outside the pump. I went every week for 6 mo to have it filled with morphine in increasing doses that amounted to enough to kill an elephant as I was later told by a second opinion. I was still taking the opioid medication for breakthrough pain which was all the time. The only sensible thing to do was have the damn thing removed. The neurosurgeon wanted to replace it but I said, NO take the damn thing out! I’m wondering if this supposedly new Medtronic pump is something new or the same old, same old? I think it’s  to make people completely taper off their medication before getting a pump implanted. It’s , because of course a large number of patients will get relief with a pump after having untreated pain. It’s a way to stack the statistics. Makes them look good to the government that will pay for the pumps to be implanted. Pumps help some people. I’m recent from my implant surgery with the Flowonix pump. Medtronic is doing this because the Flowonix pump has been deemed a better pump by many in the healthcare field. It’s preying on pain patients in my opinion. I’ve just recently got my pump a week ago and it is day and night difference pain wise. I’ve gone from a daily level 7 to a 5 and Friday she will increase the dose. So let me tell you first hand it works very good! 3 time cancer survivor and live with M.S. So, are already intrathecal devices already being used by Medtronic so is this just a new one? I spent ke with my old Pain doc years ago about the pain pump. I know people who have had them for a couple of years now and have gone throw go hell with getting it adjusted medicine wise over time, dealing with ridiculous uneducated staff at visits etc. Plus, I can’t imagine the horrible pain and suffering I would have to endure while weaning off meds and then going through the procedure and the time frame until it is up and working medicinally correct etc. plus, I’ve held a device in my hand…it’s the size of a hockey puck and my doctor said I’m too petite for it (small back). I know some folks have had success but I haven’t heard much lately about intrathecal pain therapy until this article. Best of all to Medtronic for trying this study, whatever it’s really all about?? I agree with Terri J. that for many of us, this device (if it works) will fix something that wasn’t broken in the first place until the federal government panicked and overreacted to the “opioid crisis”. 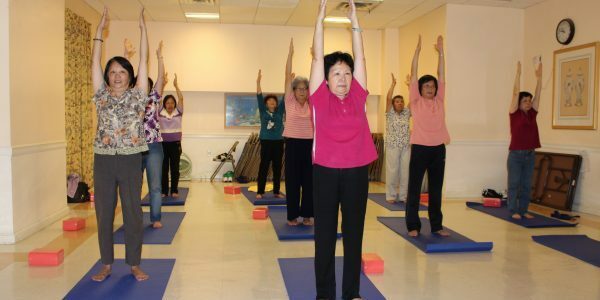 It imposed draconian, knee-jerk changes to a system that worked for the overwhelming majority of long-term pain patients, especially older adults, who use medication responsibly. We are not cruising the street looking for heroin and receiving fentanyl! Perhaps the pump will prove effective for some, and I hope it does. People suffering with long-term pain certainly need and deserve relief! However, placement of a catheter and pump is, by nature, invasive. At age 82 I hope to avoid invasive procedures of any kind with their not-insignificant risk of infection and other complications. Since the device is mechanical, it can fail and probably will require periodic maintenance–at a hefty fee. As a new therapy, it likely will be costly for insurers and unaffordable for many patients. Older adults who use medication responsibly under the care, and monitoring, of their physician are not the problem. I know someone who does both (pain pump,pain pills) and she says just the pump alone doesn’t do it for her as they set a time for release on the pump and you can be in pain before its time for the pump to deliver for you!! So just a heads up!! More Snake Oil? Not every one is on opioids or are in withdrawal. Yet in Constant Intractable Pain. Nor is it all Spinal. So how is this supposed to help those with damaged nerves, Neuropathy, Sickle Cell, Lupus, Lymes, EDS, WEDS, FMS, CRPS, there are a long list of PAINFUL diseases besides Spinal. Not every one can take Morphine. NO more MRI’s, more surgery every 5 yrs to change the battery, how do you reload the Morphine, it’s not going to last 5 yrs? Medtronics Bladder and Spinal Stimulator…i.e. Tens unit was such a flop why would this be any better a pump that delivers a LOWER dose of Morphine that the patient needs. It use is TO LIMITED. And INSURANCE won’t pay for experiments. Plus you will set off the Alarms at the airport or metal detectors. I was a RN and worked with the Medtronic pumps in the past and they are a very affective delivery system for patients who have tried and failed other forms of pain medication delivery systems like oral or patch. I am also a pain patient who is in the situation of needing to transition to the Medtronic pump because of the federal regulations on opioids. I am thankful that there is this option available. It just gives me the willies to think of a ‘pump’ being implanted under my skin, or a unit that delivers an electrical impulse. The possibilities of infection, malfunction, continual surgeries to keep it all working… I’ve been on opiod and /or opiate therapies semi-successfully for ten years without side effects or fear of addiction. Nothing is ever going to make me pain-free, but at least I can function semi-normally with reduced pain. I have a Medtronic Pain Pump. Makes a great paper weight. It did squat for my CRPS pain. What they don’t tell you is they can malfunction, as in delivering too much and the patient, as in me, went thru withdrawals more than once. Mine was implantecd 20 years ago. Exterior design doesn’t look like it’s changed much. No thank you. This does Sound promising, but we will obviously have to wait to see if it’s really viable. The Falsely Manufactured “Perscription opioid epidemic” is NOT the reason for the epidemic we are in! Honestly, and using the Largest number found because it’s actually less than 1%. Less than 3% of all Legally prescribed opiod patients ever abused or gotten addicted to the opiod meds Period! their information and outright Lied about all this in 2016! Well … This sounds like a  study to me…HOW? !… how in the heck… if someone is taking +120 mme morphine, how are they going to wean off COMPLETELY in order to install pump?! no WAY!! Sounds like their “study” is going to be filled with not “real” pain patients to begin with! Anyone who is a “real” pain patient, couldn’t/wouldn’t be able to “wean completely” off pain meds in order to start over with their pump…?! Not to mention, the “study” is INSTANTLY flawed because, they are trying to prove patients will need less BECAUSE of the pump…well, patients would already need less… Because they WEANED. like I said, ! PS: by “real” I’m referring to patients who, through the years of trials, have resorted to their last ditch as being on long term opioids to get any kind of relief at all. It is unclear why patients have to be forced to zero oral Opiods before implantation of the pump. There is no medical reason for this practice, and will increase suffering unnecessarily. As pump doses must start at a very low rate, slow oral tapering is the most thoughtful and compassionate method of transitioning off oral doses, as pump doses are slowly adjusted to therapeutic levels. 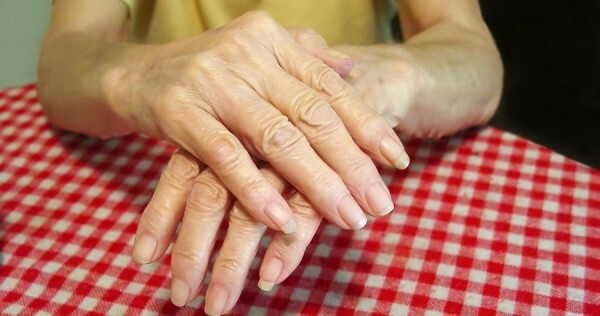 Otherwise, the trial for this method of pain relief is relatively simple, and can help patients “try before they buy“ to see if they receive significant relief from pump. My personal advice would always to insist upon a trial before agreeing to implantation. Please excuse my stupidity. Medtronic just used a bunch of fancy words to make myself and apparently a few others think that this was perhaps something new and “on the cutting-edge.” I just read on Google news that Medtronik’s device is another fancy name for electrical shock implant to the back. In other words, a spinal cord simulator. These implants have been around since the early 1960s. The report also estimated how many billions it could make by 2024 due to the decrease of opioid medication. Pain specialists are stating that it should have been started at the beginning with chronic pain patients, not as “a last resort.” Rupture and or piercing of these neurostimulators can result in unwanted burns. Therefore causing the patient more harm than good. They also state that they can send a false shock to someone like myself who has an implanted pacemaker and defibrillator. This is not a new idea, pain pumps have been around for years. I had a Medtronic pump put in about 20yrs ago & it almost killed me. At 5weeks after I had it implanted it got infected & had to be taken out in emergency surgery! I spent 4weeks in the hospital and another 6 weeks on home IV antibiotics. 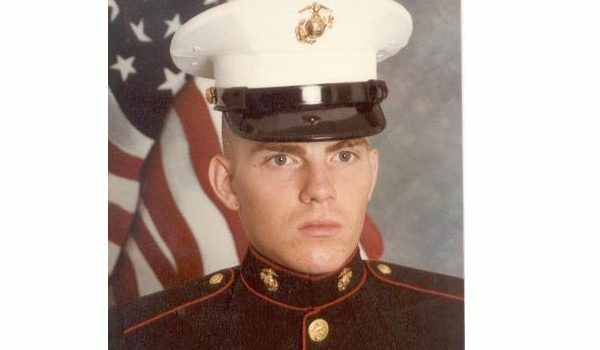 This has left me with an area of scar tissue in my abdomen where the pump was that held the medication and scar tissue in my spinal column where the neurosurgeon punched the tubing into my spinal column! This is a very serious surgery and there are a lot of things that can go wrong! I hear more bad things about these pain pumps than positive. I think that’s why they went to spinal cord stimulators, don’t think they are much better….. I know all people in pain want is to have their pain lowered or gone and want to live as close to a normal life as possible! I’ve tried just about everything a found everyone is different & you have to find your own combination that helps you…Mine is a combo of natural, western medicine & knowing my limits. Please weigh the pros and cons before you have this kind of surgery! I agree with Terri James. If it ain’t broke…Ive had a DBS system put on for treatment resistant depression (deep brain stimulus). This was in 2012. 7 years and 3 emergency surgeries later, due to staph infections, I’m not convinced its doing much. And yes, it is a clinical study. So, take away whats working, suggest major surgery and put folks at risk for sometimes life threatening infections?! I only had MSSA. The 3 days My family and I waited to see if it was MRSA were terrible, anxiety filled minutes, hours and days. Surgery of any kind should not be taken lightly. What happens after the 12 month follow up is over? *many people think that because you’re in a clinical study, everything is free or very low cost. My surgery cost approximately as much as a new mid size sedan. The 3 emergency surgeries just upped the amount of medical debt I’m in and will never be able to pay off. And only those with great insurance coverage will be able to afford it. Good news to try and start problem solving but lets keep it practical and have a solution even lower middle class or poor can actually afford! For the Love of me I’ll never understand why “they” want to “fix” something that’s not broken in the first place. Scrutinized with stupidity, yes! Broken no! Reminds me of some of the creepy clinical trials done in the past. Electrical shock, the use of LSD on unsuspecting victims just to name a couple of the hideous experiments that have been done in the past that have gone terribly wrong. Of course I may be wrong, for I have no earthly idea of what they’re talking about. The article didn’t mention what kind of medication this pump intends to deliver. Most clinicians are not seeking to optimise use of longtime alternatives versus opioid therapy, our government is making them and people are making a killing off of it with their books, one woman and her videos and now this. They “hope” this study will help clinicians help the pain patient which has a significant role on society and personal impact. So in other words, it boils down to what society thinks about the clinicians that have been helping pain patients for years until this opioid injustice reared its ugly head? At least that’s how I took it. If I’m wrong, someone please correct me. I’m most certainly open to suggestions. Thank you, Medtronic ! For once something that gives me hope because I thought there will never be any hope in the futute. I hope it’s a great success. I’m wondering is this only allowed to be put in by pain management doctors? I hope this is a new pathway for pain control. I hope that any physician is allowed to use it. I hope the FDA give this a fast approval. I hope they don’t restrict usage just to certain chronic pain conditions. That all chronic pain people will be able to use this. Because Medtronic’s spinal cord stimulators went over so well! At what cost are patients trading oral OPIOIDS vs intrathecal OPIOIDS? Ok you use less medication due to the delivery system, but a patient is still using OPIOIDS. True no more pills can be stolen or sold, but what’s the scoop on Dr. Visits , pump refills, or God forbid pump failure? Not the panacea for the opioid crisis, I don’t think?